Kirkwood City Hall was the scene of fatal shootings on Feb. 7, 2008. Ten years after Charles Lee “Cookie” Thornton opened fire at Kirkwood City Hall, some residents hope the city is learning to empathize with the experiences of non-white people and encourage understanding across racial and socioeconomic lines. Thornton shot and killed five people and wounded others at Kirkwood City Hall on Feb. 7, 2008. Two police officers and two council members were among those killed. Police killed Thornton at the scene. Census data estimates Kirkwood is about 90 percent white and 6 percent black. Years of segregation and unfair housing practices confined most black residents to the Meacham Park neighborhood, an area defined by Big Bend Boulevard to the north and Interstate 44 to the south. Some say an environment that encouraged discrimination against Meacham Park residents stoked Thornton's resentment and anger, leading to the shooting. 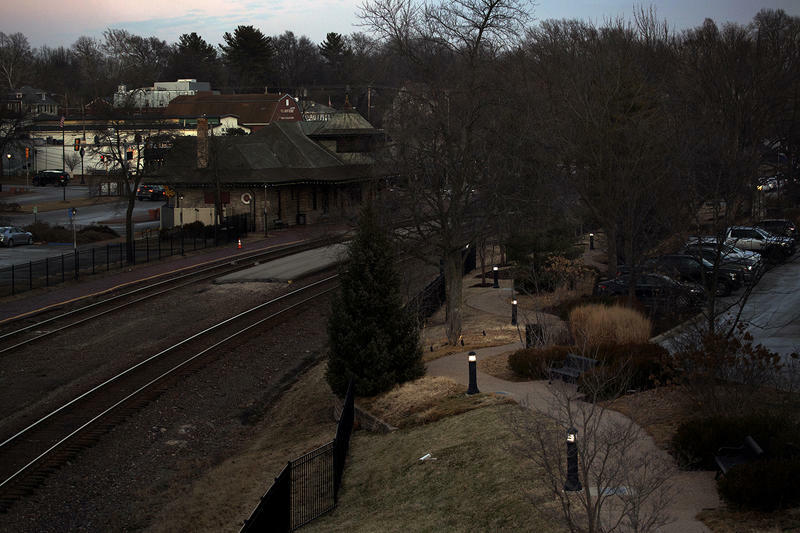 The incident remains a sensitive matter for many Kirkwood residents a decade later. Even so, it causes some people to consider Kirkwood’s current social climate and discuss how to move forward. Young people in the city are at the center of those kinds of conversations. Clair Boysen, 16, recounted the events of the shooting in the student paper, The Kirkwood Call, for her peers at Kirkwood High School. Cross-generational reflections on race relations in Kirkwood. She said administrators at the school are encouraging students to talk about race and inequality. Those talks have helped, she said, in a city that is mostly white and affluent. Still, misinformation, stereotypes and misperceptions plague low-income and non-white areas. "The Great Divide: A Tale of Two Cities" by Edna J. Patterson-Petty. 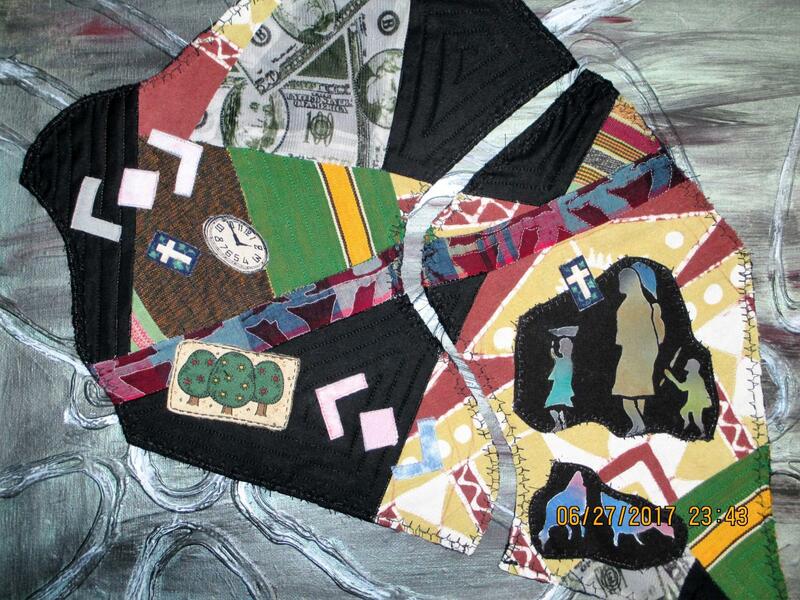 This artwork is part of the multi-media project "Meacham Park Oral Histories." One Meacham Park resident wants people to know her community is not necessarily what outsiders may have heard about the neighborhood. Jones, known by residents as Miss Janet, has observed progress in her community. At 70, she remembers when neighborhood roads were unpaved dirt paths and most homes lacked indoor plumbing. Now, white families and St. Louis residents enter the mostly black enclave looking for safe, inexpensive, suburban living. “People are attracted to come to this neighborhood because of the housing, because you're close to the school, you're close to everything. And that’s why they’re coming in here,” Jones said. Tonyae Fuller, 13, and Lauren Hulsey, 14, gush over how friendly and inviting their community is. It’s hard for them to imagine some of the conditions Jones and other older residents describe. Hulsey and Fuller both said even though they’ve heard some stories about Kirkwood’s history, they don’t have personal experiences of racial bias, something older residents remember about Meacham Park’s relationship with the rest of the city. Leaders at Webster Arts, The Repertory Theatre and Springboard to Learning created an opportunity for longtime Meacham Park residents to share that history with the public through a grant-funded storytelling project. Older Meacham residents told students at Nipher Middle School stories about growing up in Meacham Park. The students wrote reflections on what they heard for a book that included a number of these oral histories. Jeane Vogel, Webster Arts executive director, says the purpose of the project was to educate people about an important part of Kirkwood’s history. “We aren't these little tiny pockets," said Vogel, a white woman who lives in Olivette. "We’re a huge community, and there’s a lot of healing to be done and a lot of communication that needs to be made by people of all the communities so that we understand the history of Meacham Park is my history, too." 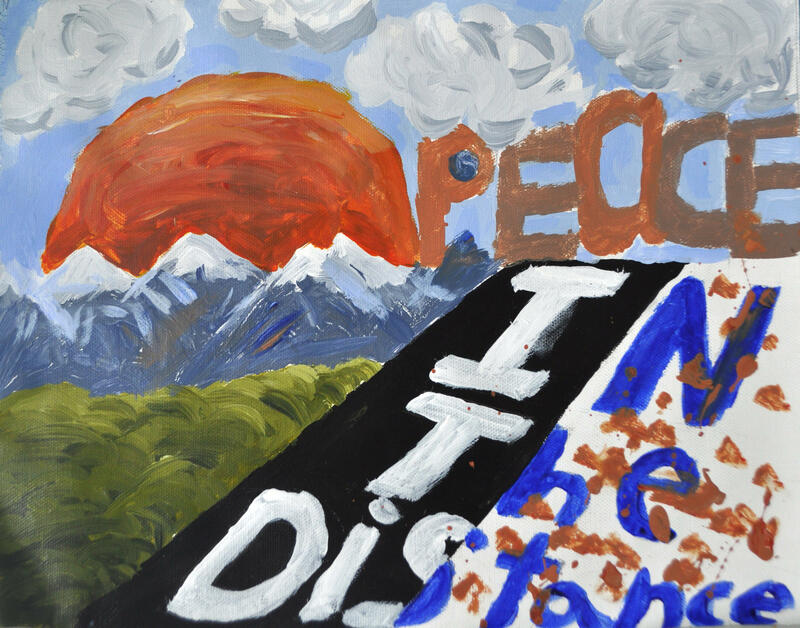 "Peace in the Distance" (by Richie) is part of the multi-media project "Meacham Park Oral Histories." The choir will sing soothing words of hope when the community gathers Wednesday evening at Kirkwood United Methodist Church for a prayer service marking the 10th anniversary of a tragedy that time has not yet tempered. The church commissioned “Canticle of Peace’’ by Joseph M. Martin in 2009 and dedicated it to a community still healing from the City Hall shootings. On Feb. 7, 2008, Charles Lee “Cookie” Thornton, armed with two handguns and a festering grudge against city officials, fatally shot two council members, the director of public works and two police officers before being shot and killed by responding police officers. Kirkwood, Mo. 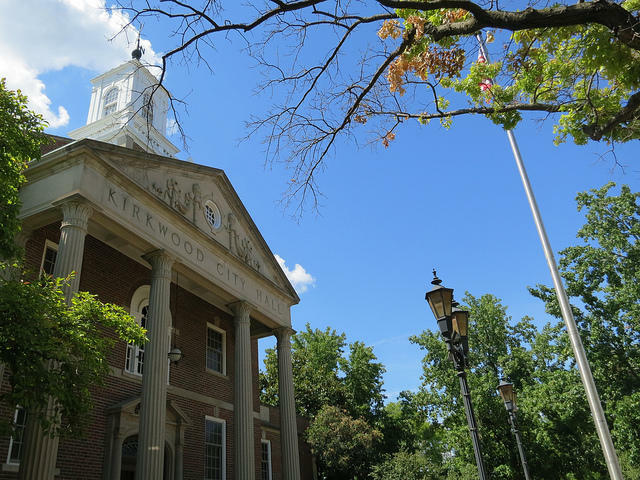 – The Kirkwood City Council met for the since a man murdered five people at city hall two weeks ago. Thursday's meeting began with a moment of silence, but it turned into a bitter fight over the how the community will move on. Two council members were killed in the attack two weeks ago, including Connie Karr, who was running for mayor. The city had her name removed from the ballot at her husband's request, leaving only one candidate. Michael Brown’s parents, Lesley McSpadden and Michael Brown Sr., are still waiting to bury their son, who was shot and killed on Aug. 9, by a Ferguson police officer. For them, healing probably seems like something that’s still a long way off.